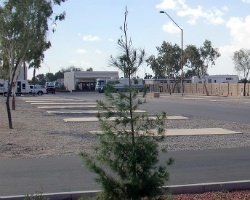 Western Horizons RV Resort - Casa Grande offers more amenities than a typical RV resort. Live musical acts and comedy troops frequently drop by to entertain the guests. Pass the time by playing horseshoes, or making new friends in the card and billiard rooms. Take a dip in the heated outdoor pool, or polish your putting skills at the five-hole putting green. The exercise room and library are at your disposal. Enjoy the Great Outdoors! Yearly usage in floating weeks! Make an offer today!